A special edition live from Delhi looking at the businesses driving India's rapid growth. Is one of the world's fastest growing economies the key to easing a global slowdown? 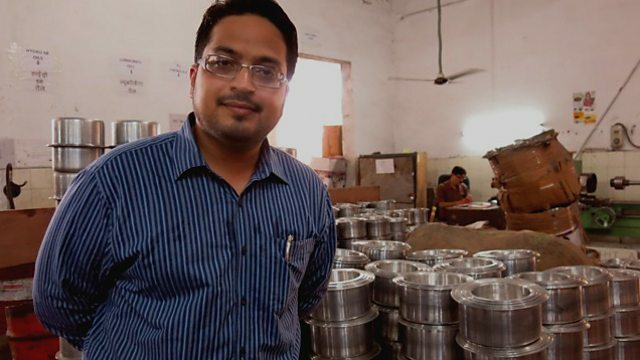 In a special edition live from Delhi we look at the businesses driving India's rapid growth. Is one of the world's fastest growing economies the key to putting the brakes on a global slowdown? We meet a rickshaw driver, a factory owner and people from some of India's top brands as we look at a typical working day in the country's capital. India is one of the most difficult countries to do business in, according to the World Bank Group, and Prime Minister Narendra Modi was elected last year on promises of economic reform: but is it any easier today to do business than one year ago? We also examine why only a handful of Indian brands are household names overseas. With a wave of entrepreneurship sweeping India - and many firms hungry to go global - is that about to change? And we hear from the Indian rapper taking on one of the world’s biggest corporations. Throughout the programme, we'll be joined by Gaurav Chaudhary, writer for the Hindustan Times and Elsa D'Silva, Managing Director of Safecity, an India-based NGO which helps make the streets safer for girls and women.